Shabtabnews – The case of Dr. Mohammad Ali Taheri proves that he is hostage to the malice and cruelty of the Iranian security, as according to the law, not only Dr Taheri should have been released, but he has been kept illegally in prison for more than three years in addition to his original sentence, without any form of additional charges being filed. Furthermore, even though bail bonds have posted and and release order is legally required, security forces have consistently prevented the issuance of release order! 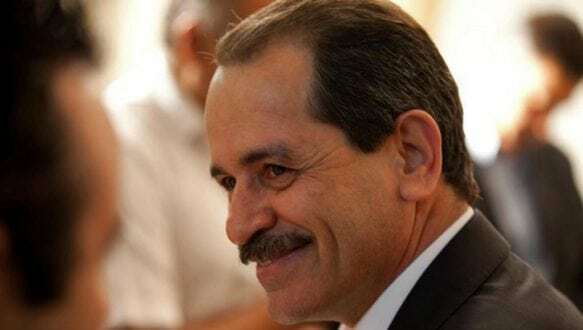 Firstly, through countless summonses across all of the Iranian cities, against Dr. Taheri’s students and their unjust imprisonment, all in attempt to subdue the spiritual group created by Dr Taheri . Secondly, by the use of security agents in the cyber space, to spread lies and even to officially threatened Dr. Taheri and his students lives! This cowardly act, which was carried out by a mercenary named Reza Amadi al-Hayari, and the management of security interrogators, Mahmoud Reza Rahimi and Mohammad Hussein Sadra-Alavi, clearly expresses the terrible thought process of such individuals. These types of behaviours indicate that Salafist thought is embedded deeply in the root of Iranian regimes beliefs that are bent on eliminating any thought or idea that does not agree with their extremist doctrine. Dr. Taheri’s students have repeatedly stated that the Islamic Republic’s judiciary is officially responsible for protecting the lives of their teacher, Dr Taheri, and that if any attacks is carried on them or their leader , they should be held accountable.